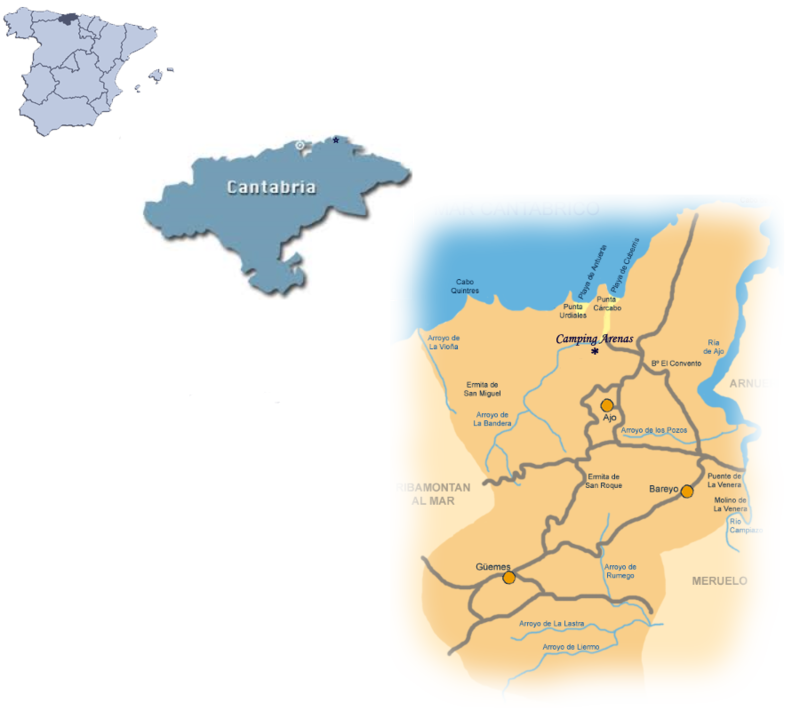 The cape of Ajo is the Northest point in Cantabria. It is 35 km. from Santander and 80 km. from Bilbao. Exit 185 of the railcar of the Cantabrian (A-8), is located at the point of Beranga.